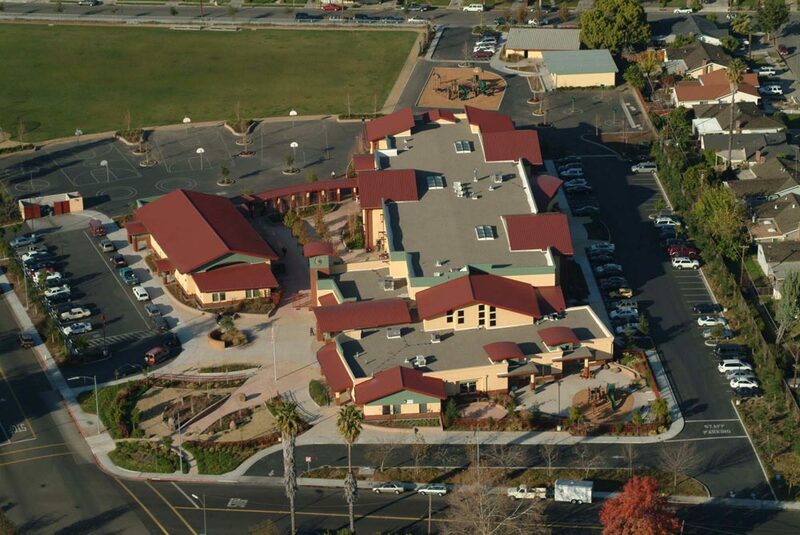 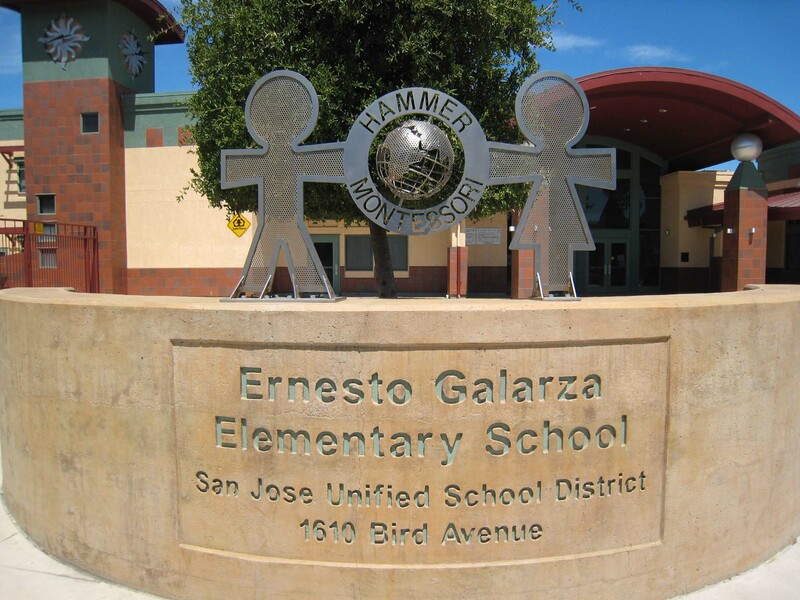 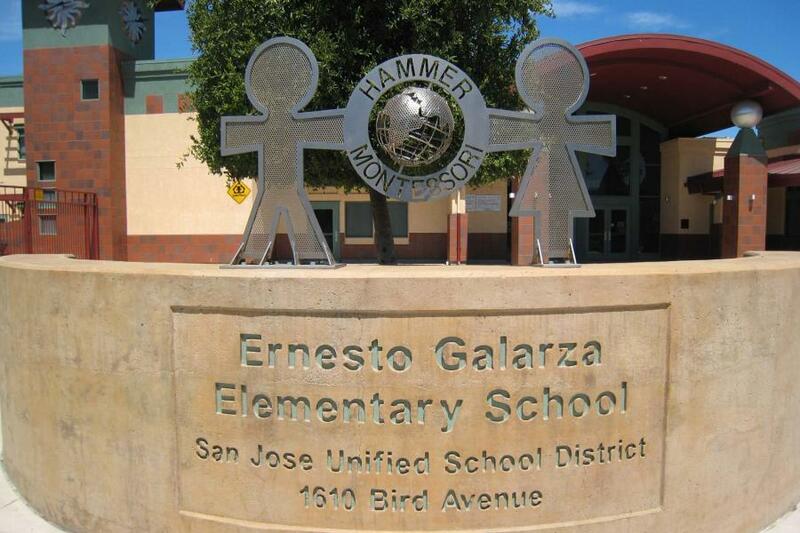 Ernesto Galarza Elementary School is San Jose Unified School District’s first new school in over twenty-two years. 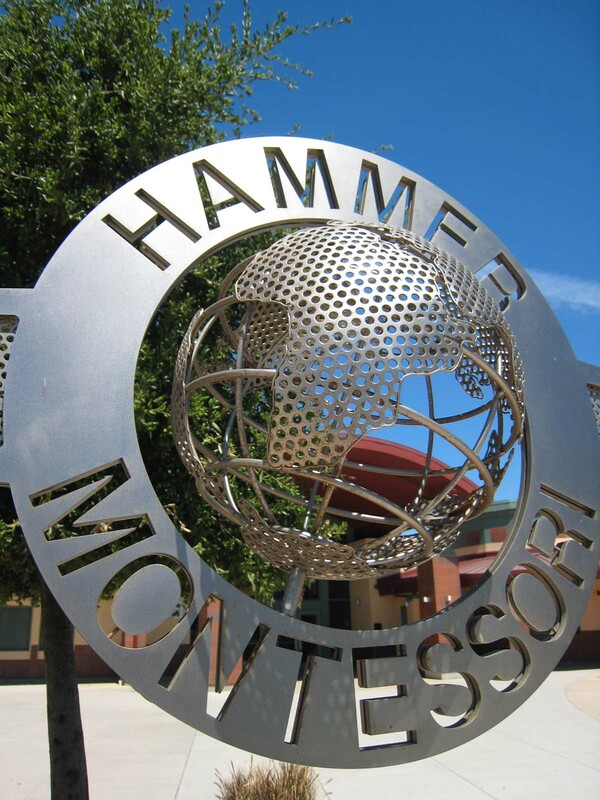 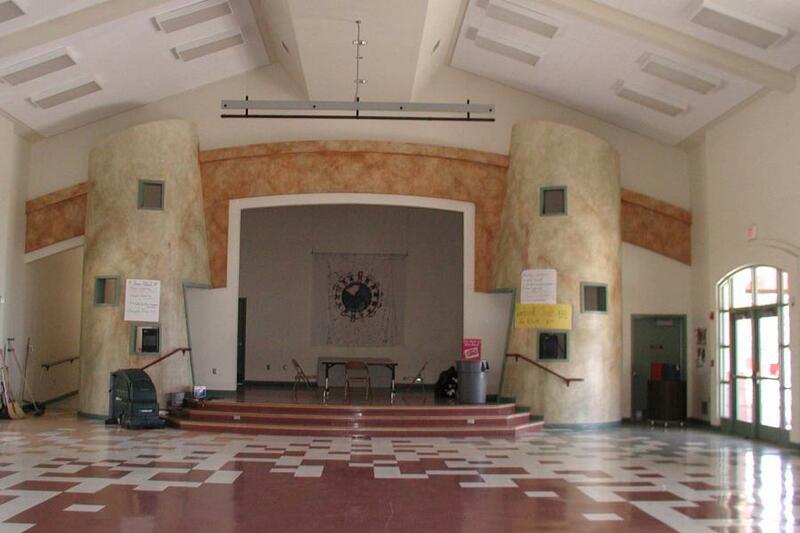 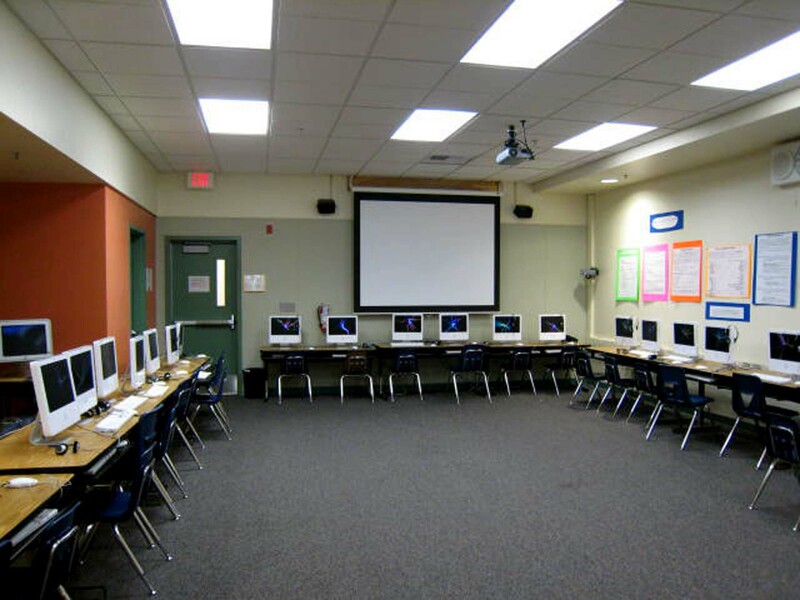 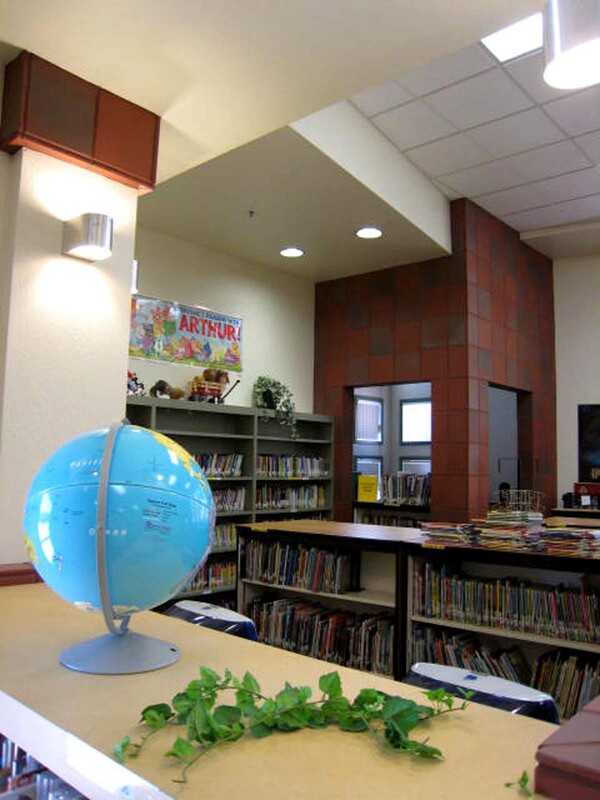 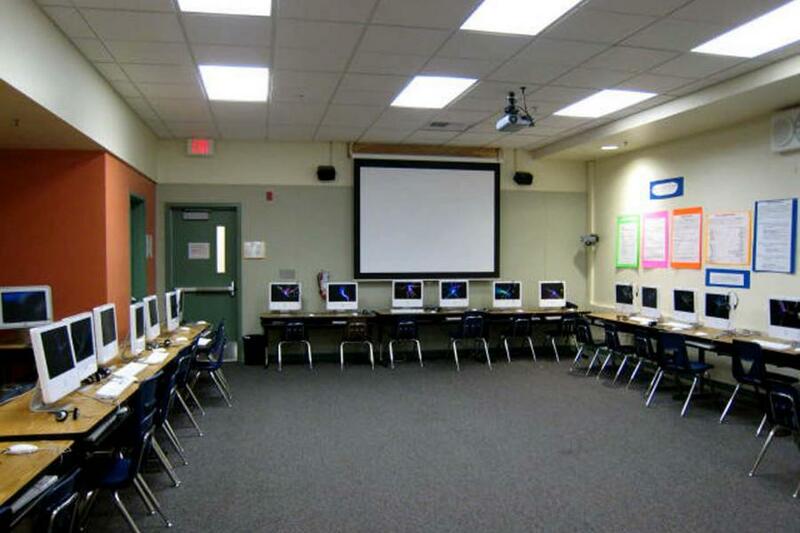 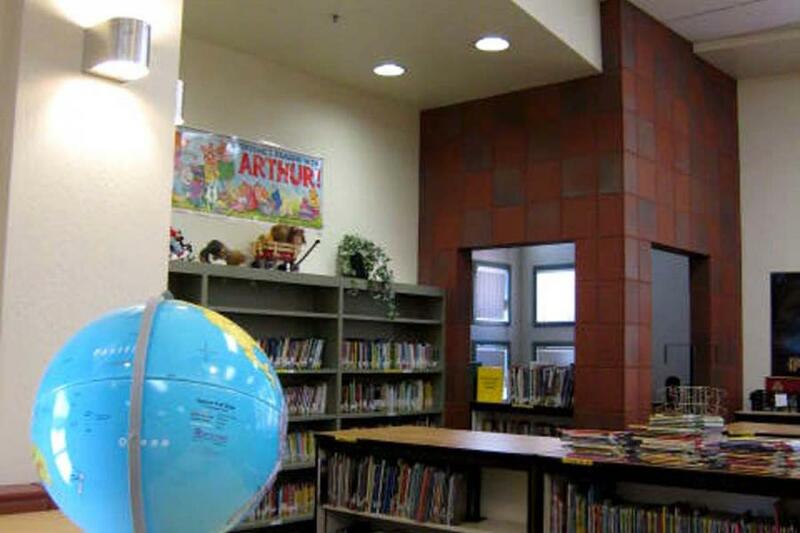 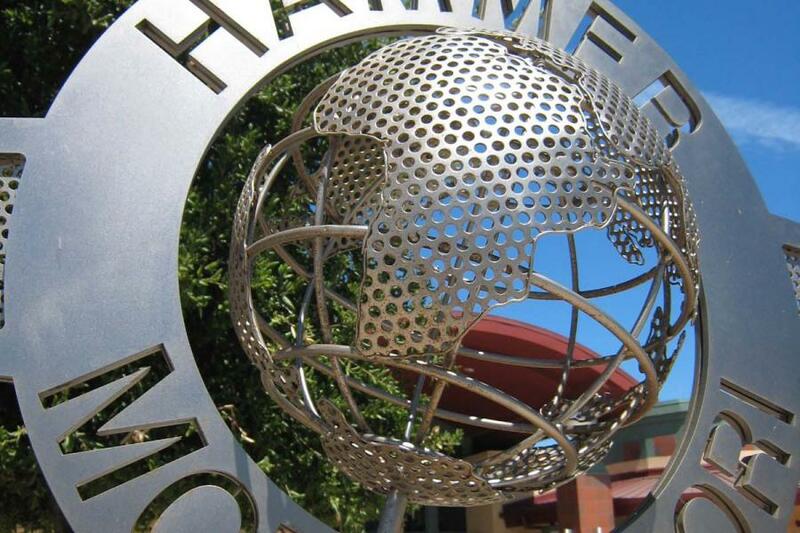 It has all the features of a modern, technologically advanced, educational facility. 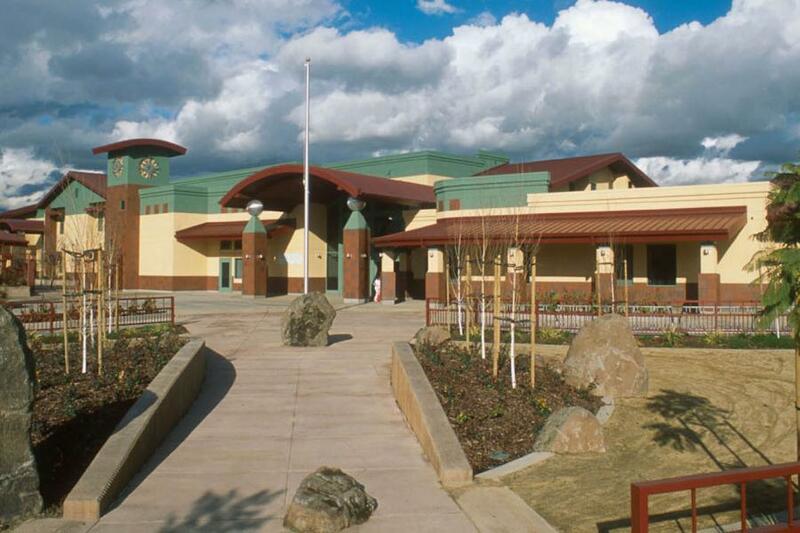 The multi-use building is designed to be separate from the two-story classroom building to facilitate community use. 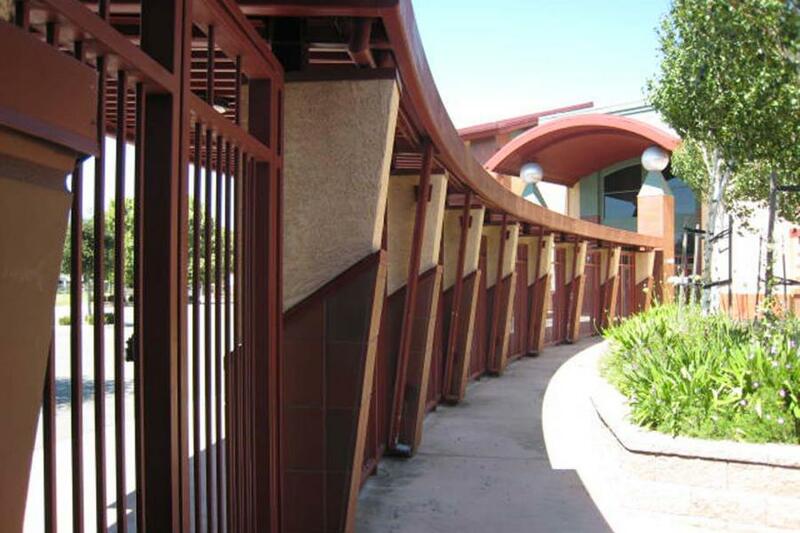 The separate multi-use building also provides a secure courtyard to host school or community outdoor assemblies. The campus also includes a kinder play yard with secure outdoor teaching space and separate field and outdoor play area for the older students. 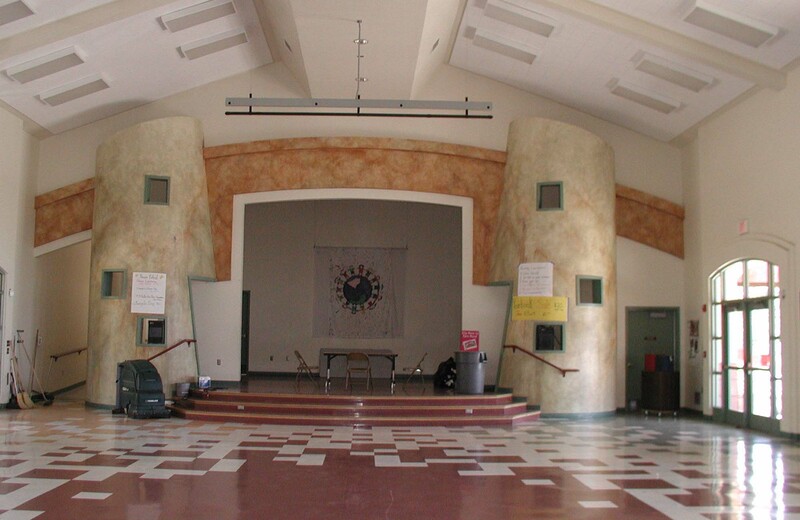 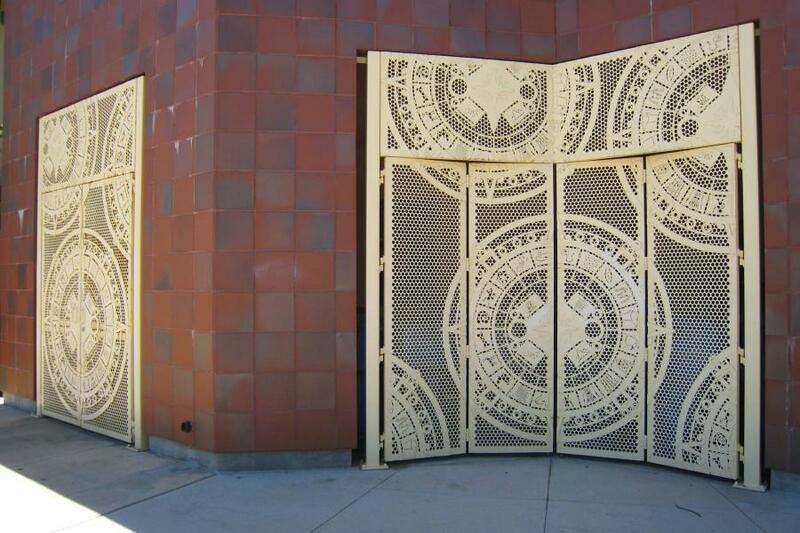 A public art program was included with the design of the school providing an opportunity for the incoming students to contribute to the design and construction of the new school. 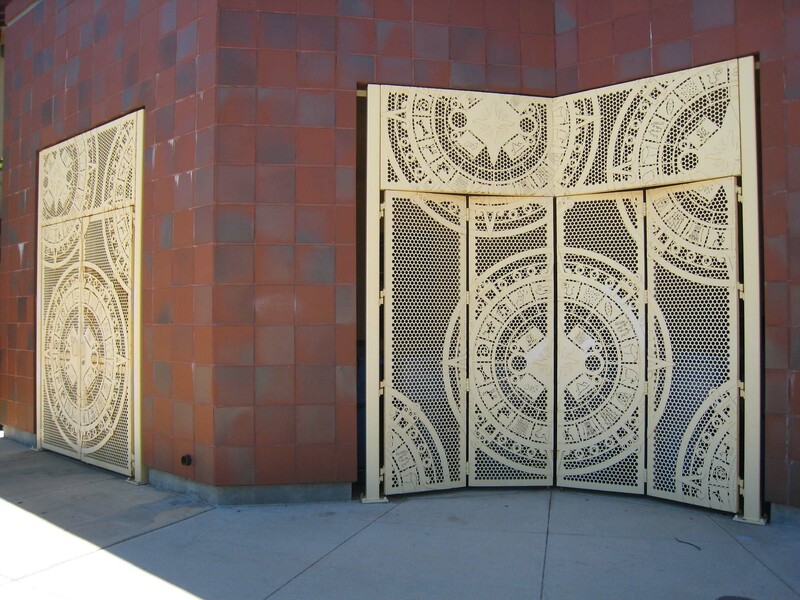 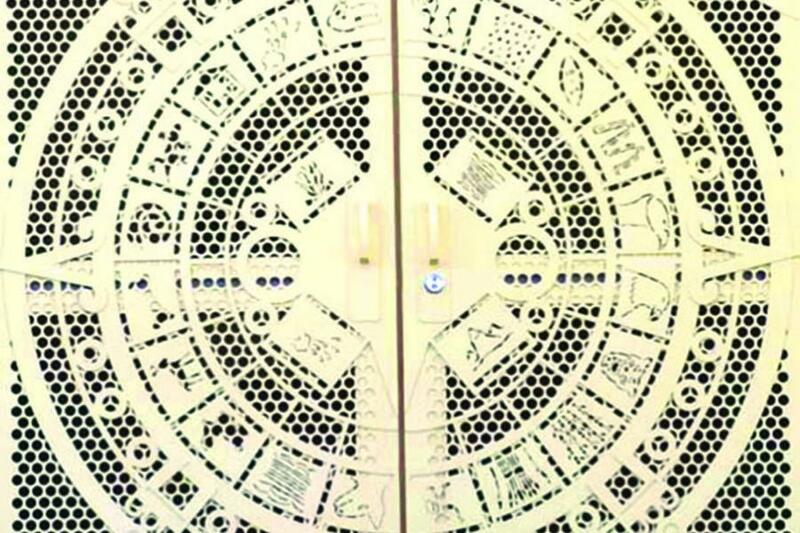 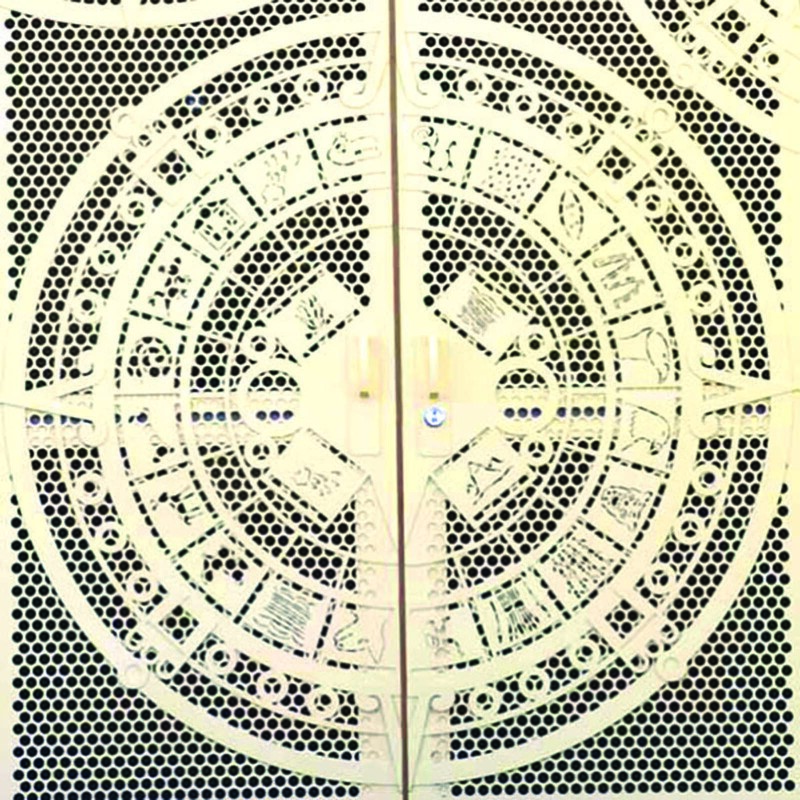 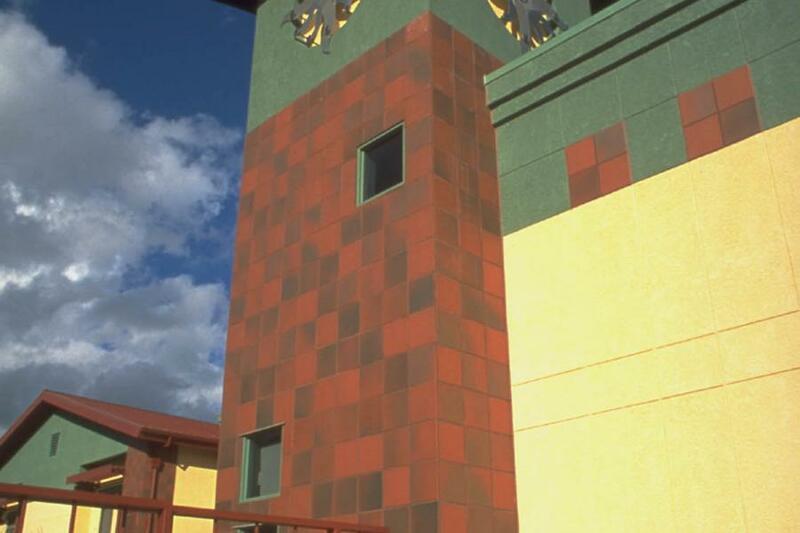 Directed student designs were integrated into ceramic discs on the interior stairwell barriers and the steel, water jet cut teacher’s entrance gate at the back of the school entitled: Aztec Gates. 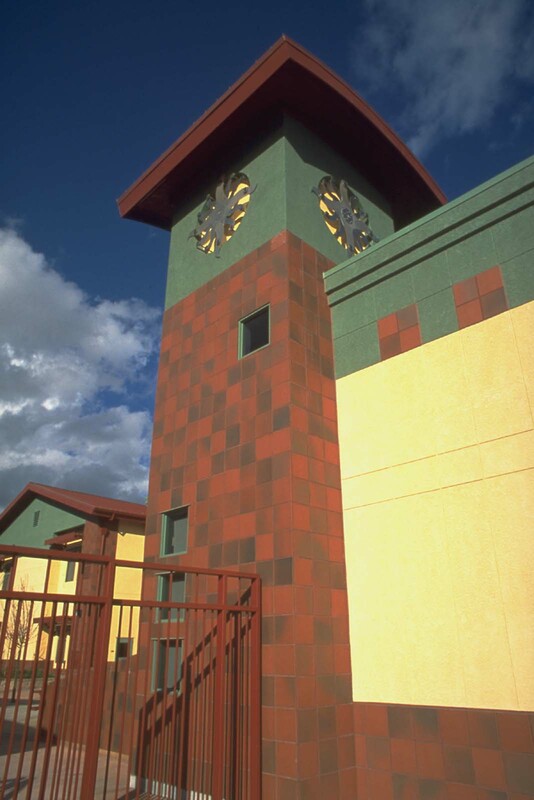 A prominent art park, at the front of the school, was also included in the site plan’s design.